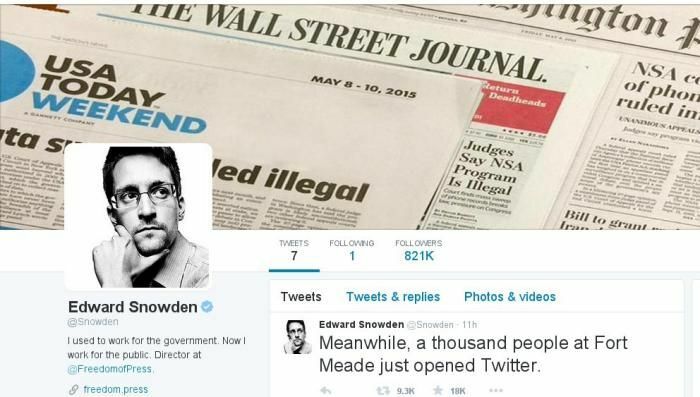 National Security Agency (NSA) whistleblower Edward Snowden has recently joined the social networking site Twitter and started following the NSA. The former NSA contractor clocked over 8 lakh followers in less than 24 hours of his joining the microblogging site. True to his character, his first tweet read: "Can you hear me now?" He is following only one account at the moment, the NSA. Snowden, who leaked classified documents about government surveillance, is currently living in exile in Russia. He faces charges in the US that could land him in prison for up to 30 years. READ NEXT >> Why is Sourav Ganguly selling jewellery these days?